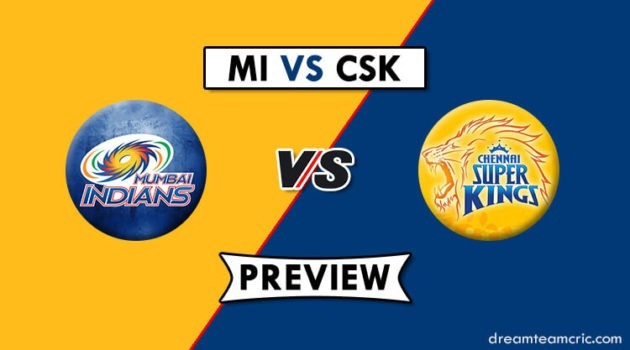 Hello and Welcome to our preview for Kolkata Knight Riders vs Chennai Super Kings match. 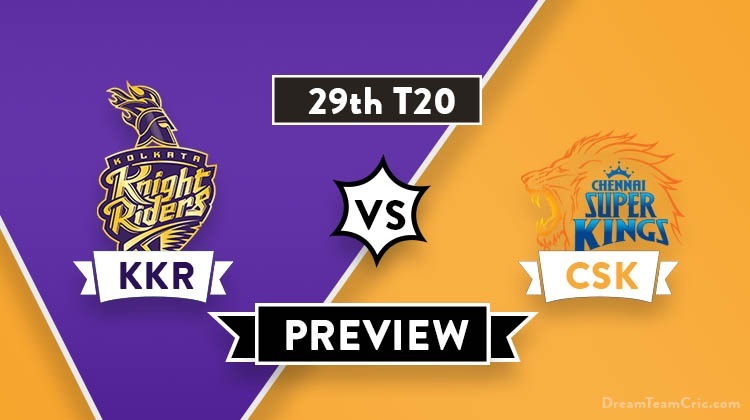 We are covering KKR vs CSK Dream11 Team Prediction, Preview and Probable Playing XI for the T20 match. The match is to be played at Eden Gardens in Kolkata. Kolkata Knight Riders are second on points table with four wins and three losses. They lost their last match to Delhi Capitals by 7 wickets. Batting first, Shubman Gill was slotted to his favourite position opening the innings and played an brilliant knock of 65 runs. Andre Russell played another quick cameo of 45 runs in 21 balls to lead team to a total of 178. Defending the target, No bowler could deliver a standout performance leading to an easy chase of target. KKR will hope to bounce back after two heavy losses and deliver a good show against CSK. Table-toppers Chennai Super Kings are having a dream run in IPL’19 winning six of their seven encounters. They won their last match against Rajasthan Royals by 4 wickets. Bowling first, Pace duo of Deepak Chahar and Thakur along with Jadeja took two scalps each to restrict Royals at 151. Chasing the target, Ambati Rayudu and MS Dhoni played crucial knocks of 57 and 58 respectively after top-order collapse. Big hitting from Jadeja and Santner in last over ensured another victory for CSK. They will take momentum from their last victory over KKR and will put a similar unison effort. KKR VS CSK, 29th T20, Indian Premier League, 2019. Matthew Kelly has been signed as a replacement for injured Anrich Nortje. He will join the team soon. Sunil Narine did not play the last match due to a slight hamstring injury and can come back in the hunt replacing Joe Denly. Anyone among Harry Gurney and Lockie Ferguson can play. Chances of Gurney are more. Sunil Narine/Denly and C Lynn/Shubman Gill will open the innings. Robin Uthappa, Nitish Rana, D Karthik and Russell will follow them. Andre Russell and Sunil Narine/Denly will play the role of all-rounder. Piyush Chawla can also contribute with bat. Kuldeep Yadav, Piyush Chawla and Sunil Narine/Denly will be the key spinners while Prasidh Krishna will lead the pace attack along with Andre Russell and Harry Gurney/Ferguson. Nitish Rana can also bowl few overs of spin. Considering previous head to head match, Harbhajan Singh can replace Mitchell Santner while Scott Kuggeleijn can replace Shardul Thakur. The team can also go with only two spinners in form of Tahir and Jadeja if the pitch is conducive to pacers. Dwayne Bravo is ruled out for two weeks due to a hamstring injury. Lungi Ngidi and David Willey are also ruled out of IPL’19. Faf Du Plessis and Shane Watson/Billings will open the innings. Suresh Raina, A Rayudu, Kedar Jadhav and MS Dhoni will follow them. Ravindra Jadeja and Kuggeleijn/Santner will play the role of allrounder. Deepak Chahar can also contribute with bat. Deepak Chahar will lead the pace attack along with Scott Kuggeleijn/Shardul while Ravindra Jadeja, Harbhajan Singh/Santner and Imran Tahir will be the key spinners. CSK are unchanged, whereas, 3 changes for KKR. Chris Lynn, Sunil Narine and Harry Gurney replace Carlos Brathwaite, Joe Denly and Lockie Ferguson. Sunil Narine, Chris Lynn, S Gill, R Uthappa, Nitish Rana, D Karthik (C&WK), A Russell, Piyush Chawla, Harry Gurney, Kuldeep Yadav, Prasidh Krishna. Shane Watson, Faf Du Plessis, Suresh Raina, Ambati Rayudu, MS Dhoni (c/wk), Kedar Jadhav, Ravindra Jadeja, Shardul Thakur, Deepak Chahar, Harbhajan Singh/M Santner/S Thakur, Imran Tahir. C and Vc Choices: A Russell, R Uthappa, Rayudu, Dhoni, Faf Du Plessis. 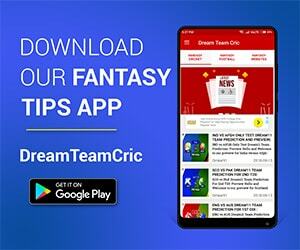 If you liked KKR vs CSK Dream11 prediction, then follow us on Twitter for Latest Cricket News and Grand League teams.